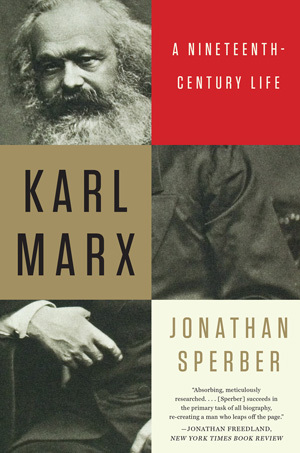 In this magisterial biography of Karl Marx, “likely to be definitive for many years to come” (John Gray, New York Review of Books), historian Jonathan Sperber creates a meticulously researched and multilayered portrait of both the man and the revolutionary times in which he lived. Based on unprecedented access to the recently opened archives of Marx’s and Engels’s complete writings, Karl Marx: A Nineteenth-Century Life provides a historical context for the personal story of one of the most influential and controversial political philosophers in Western history. By removing Marx from the ideological conflicts of the twentieth century that colored his legacy and placing him within “the society and intellectual currents of the nineteenth century” (Ian Kershaw), Sperber is able to present a full portrait of Marx as neither a soothsaying prophet of the modern world nor the author of its darkest atrocities. This major biography fundamentally reshapes our understanding of a towering historical figure.